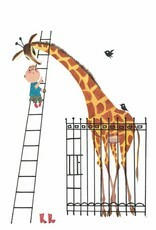 Photo wallpaper 'Giraffe' with an illustration of Dikkertje Dap, on the stairs, to give the giraffe a lump. 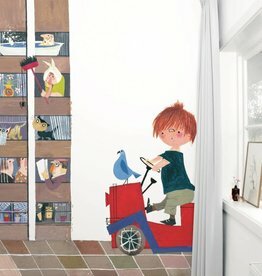 Illustration: Fiep Westendorp. 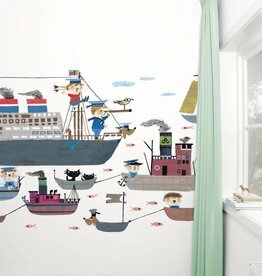 Cheerful wallpaper for every nursery! To prevent colour differences, the wallpaper is not in stock. It is always made by order, every week on Tuesday. 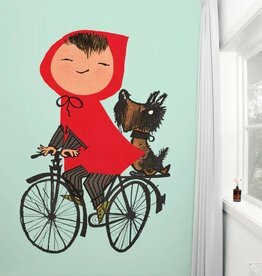 If the order is received by us before 10 am on Tuesday (including payment), the wallpaper will be produced that same day. The wallpaper is sent every Friday. 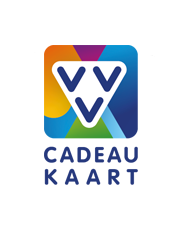 You will receive an automated mail with track & trace code from postNL, so that you can follow the package. Doesn't the standard wallpaper fit, or less well? Then order your own customized wallpaper! Enter the size of the wall via email (height x width, the height measured from the plinth) and then you will receive a quotation. 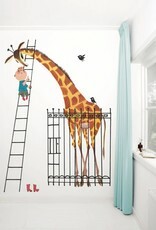 The costs for customized wallpaper are approximately € 35 / m2. Customized wallpaper can not be returned. All wallpaper tracks are printed on one roll. There is a clear instruction on the packaging for applying the photo wallpaper. 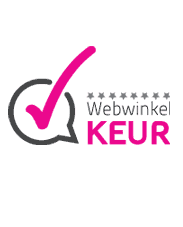 Non-woven wallpaper (165 gr) from KEK Amsterdam is much stronger than ordinary (paper) wallpaper. 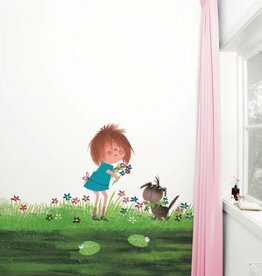 The wallpaper is environmentally friendly and biodegradable. When using the right glue, the wallpaper is easy to apply and is also easy to remove (dry). The paper tracks do not expand and do not shrink. The tracks are applied dry. The recommended glue is: Perfax Pink for non-woven wallpaper. Photowallpaper 'The Red Towtruck' 2 from the story of Tow Truck Pluck. 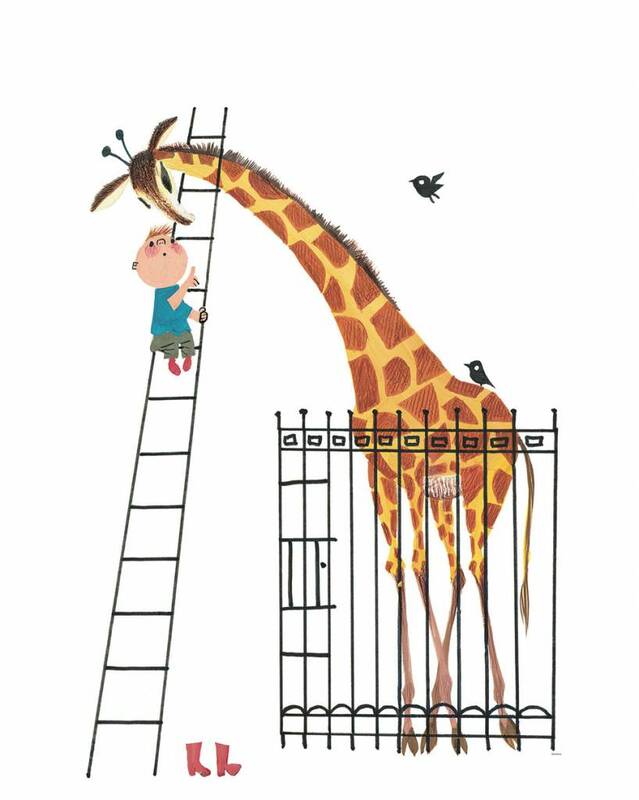 Illustration by Fiep Westendorp.